Over the years we have built many beautiful low-maintenance ecosystem ponds, streams, cascades, waterfalls, and pondless waterfalls. Our water features focus on an ecosystem approach that relies on the most natural balance of circulation, filtration, plants, fish, and rocks and gravel to ensure sustainability. Whether your pond project is large or small, we will take the time with you to explain the different options that go into installing a pond. Our client base has been built by word of mouth and you can rest assured you can trust the pond experts at Midwest Nursery. To see ponds and other water features we have created in the past check out our Gallery. All of our ponds and water features are created using Aquascape's unparalled ecosytem approach. 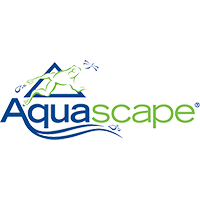 Aquascape is the leading water garden innovator in North America. They invented the low-maintenance ecosystem pond, which is the # 1 contractor-installed water garden. They have a wide range of of products from garden decor to advanced water features. Whether you are looking for a small cascade, or a large pond with a dramatic waterfall, the experts at Midwest Nursery have the knowledge and experience to create you a beautiful water feature that will stand the test of time. Do you have a pond, stream, cascade, waterfall, or pondless waterfall that has fallen into a state of disrepair? Our experience building and maintaining water feautures helps us quickly diagnose your problem and discuss the most economical solutions with you. The five key elements of an ecosystem pond are the mechanical and biological filters, pumps and plumbing, rocks and gravel, aquatic plants and fish. Without a balance between these five elements you may encounter problems. Contact us today to help you return your pond back to its previous glory.